WORKMASTER® Time-Sequence Controllers allow users to choose from a variety of time ranges and settings. Each time sequence controller features 100% solid state reliability with integrated circuitry housed in a NEMA 4 enclosure. LED indication is provided for each output and for power ON indication for each of installation and troubleshooting. Sequence may be stopped at any position, ON or OFF, and then restarted at that position for the programmed set-time. The Controller features 100% solid state reliability with integrated circuitry. The Board measures 4-1/2”H x 4-3/4”W x 1-1/2”D. 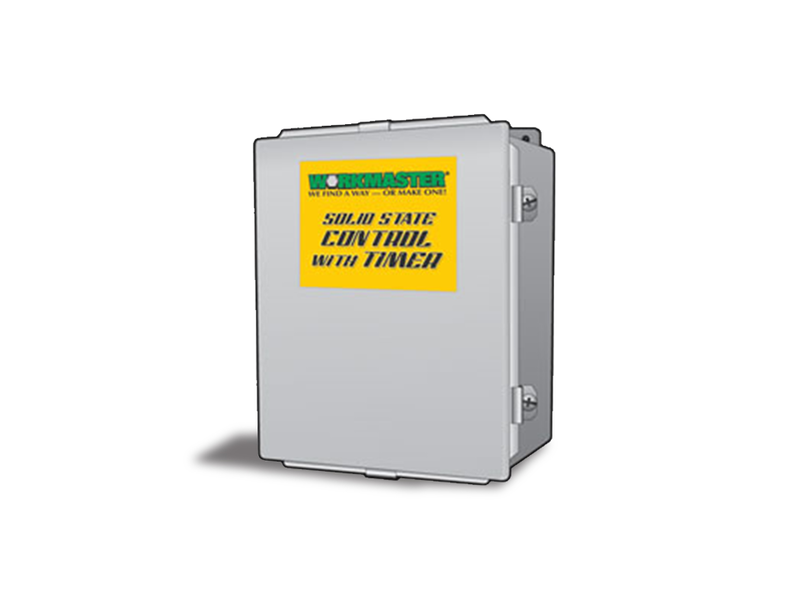 The Controller is supplied in a NEMA 4 enclosure (8″ x 6″). Other Non-Hazardous and Hazardous location enclosures are available. Time-Sequence (intervals) signals are adjustable over a range of 16-milliseconds to 7-hours. Special modifications for longer time ranges, and models with complex sequences are also available. LED indication is provided for each Output, and for power ON indication for ease of installation and troubleshooting. The sequence may be stopped at any position, ON or OFF, and then restarted at that position for the programmed set-time.